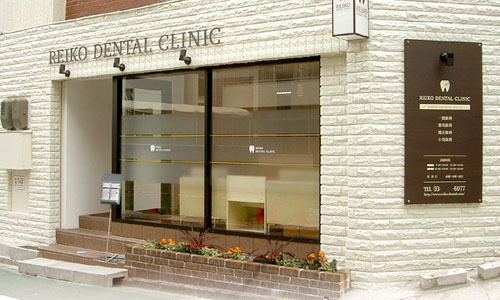 English speaking dentist in Akasaka, Tokyo. Dr. Reiko Makabe is inspired by the desire to help you achieve optimal health and provide you with the absolute best that dentistry has to offer. She is a graduate of the University of Kansas in the United States, and she transferred to Osaka University school of dentistry where she studied and trained as a student. She practiced and was further trained at International Medical Center of Japan Maxillofacial Surgery. She brings her depth of experience and innate concern for your overall health and comfort to each and every treatment. Dr. Makabe presents a refreshingly unique and artistic approach to dentistry by combing beauty and strength in her restorations and the smiles she creates. We invite you to discover the difference we can make in your smile and in your life. Dr. Makabe experienced the internship program at the hospital. Clinic will be open on 30th of April on Tuesday and 2nd on Thursday. From 9:00 through 14:00. Thank you. © Reiko Dental Clinic　If Tokyo dentist in Tokyo Akasaka dentist advanced country The advanced technology cultivated in America is reputed to "Reiko dental clinic"